It has been two years since Emma Stone graced the red carpet at Venice Film Festival, but this year, she’s finally back! The 27-year-old actress took Italy by storm while getting the word out on her new film, “La La Land,” during the city’s 73rd Film Festival. Emma looked classy in floral at the photo call for her musical film on Wednesday morning. She selected a Giambattista Valli frock featuring floral prints and embroideries. It also had retro-style fluted sleeves, ruffles and a flowy, short skirt that drew attention her legs. Emma added some splash of color to the look with a pair of mustard shoes, while keeping the rest of her accessories simple. She wore a Jennifer Meyer earring (available at Barneys) and a couple of rings, also by the same jewelry designer. She styled her flame-colored tresses into a chic up-do, and completed the look with just a hint of makeup. Emma picked the Jimmy Choo “Lucy” suede pumps for her feet. 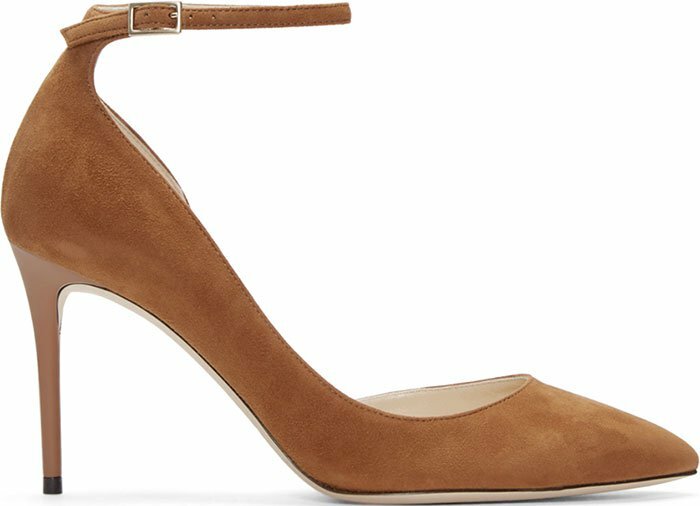 These modern d’Orsay pumps have pointed toes, adjustable ankle straps and four-inch heels. A few hours later, Emma switched up her style for the premiere of her latest film, which opened the 2016 Venice Film Festival. The “Easy A” actress ditched her fresh and feminine outfit for a sensational gown from Atelier Versace’s fall 2016 collection. She looked every bit the Hollywood star in her ‘20s-style flapper dress, which had a fringed detailing, a high neck and sparkling embellishments. Emma styled the dazzling look with metallic heels and Selim Mouzannar earrings and rings. She wore her hair into a side-parted chignon and sported pink lipstick and glittery eye-makeup. 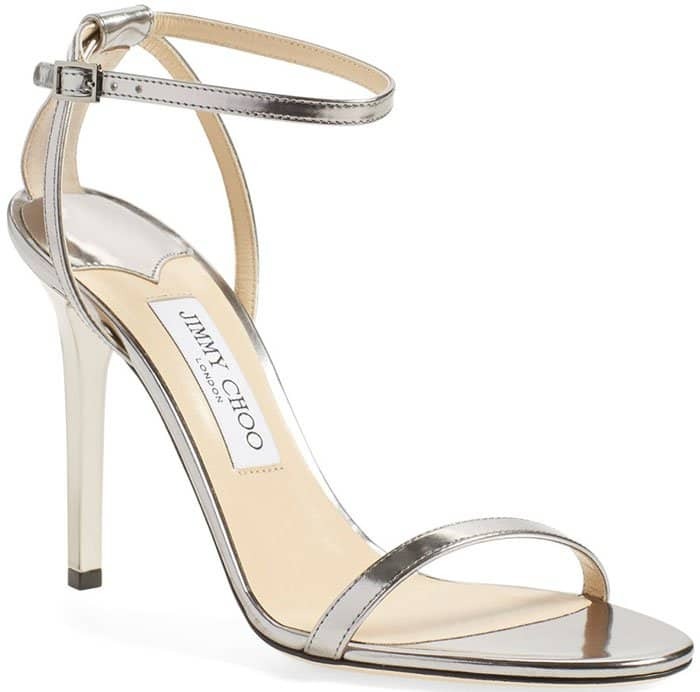 Emma teetered on a pair of Jimmy Choo “Minny” sandals in metallic silver leather. They have slim straps with adjustable ankle straps, open toes and four-inch heels. You can get Emma’s shoes at Ssense and Nordstrom.